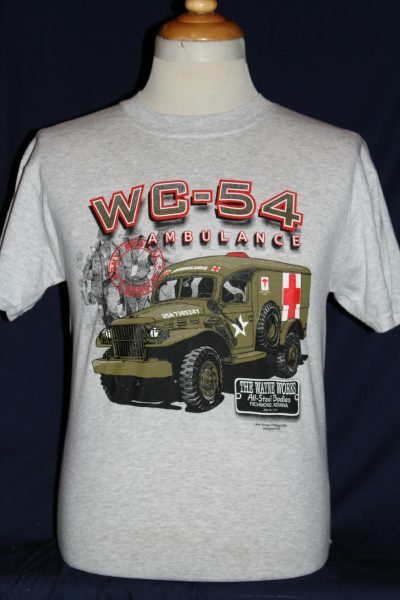 The WWll Dodge Ambulance T-shirt is a single sided print in light grey. 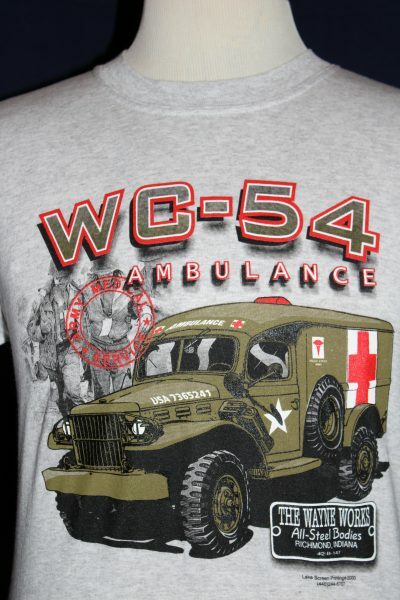 Front Design Only: Dodge Ambulance as built by The Wayne Works company in Richmond, Indiana. 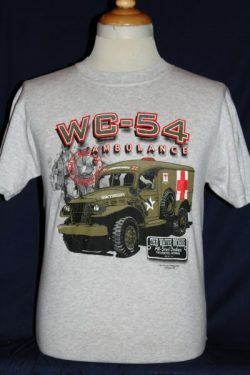 Wounded American Soldiers, and manufactures name plate.